This entry was written by Sarah Jenkins, posted on 11/01/2011 at 12:39 pm, filed under October 2011 category. 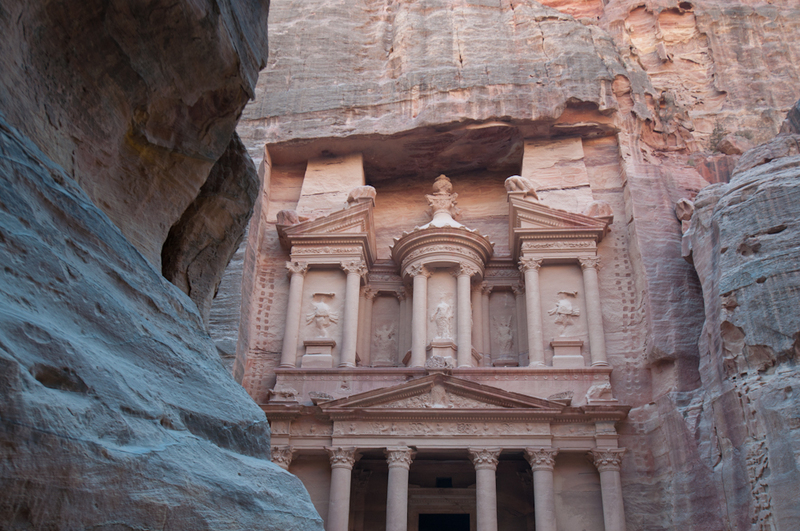 Today, we made our journey across the border into Jordan to visit Petra, one of the new 7 wonders of the world. 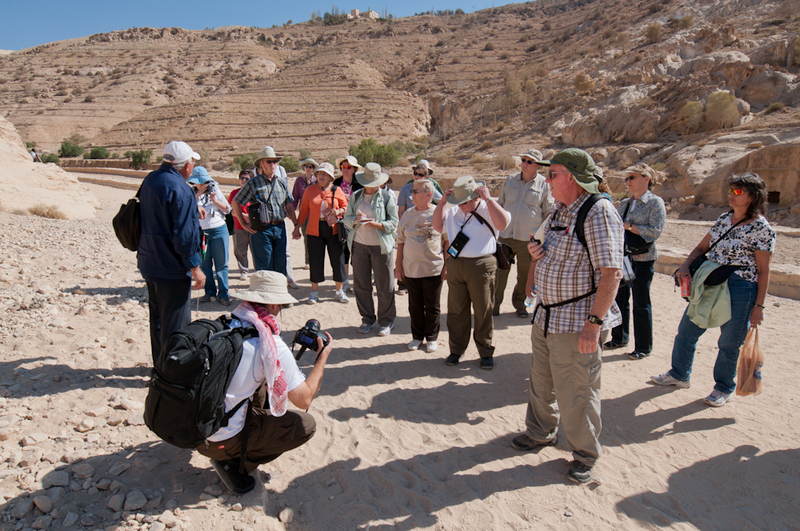 Our morning began at the Arava border control station, roughly 10 minutes from our hotel. 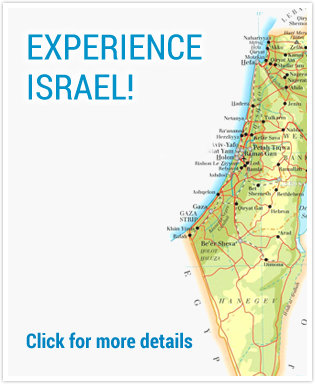 We were stamped & processed out of Israel, and walking into the no-man’s land in between the two countries in no time at all. 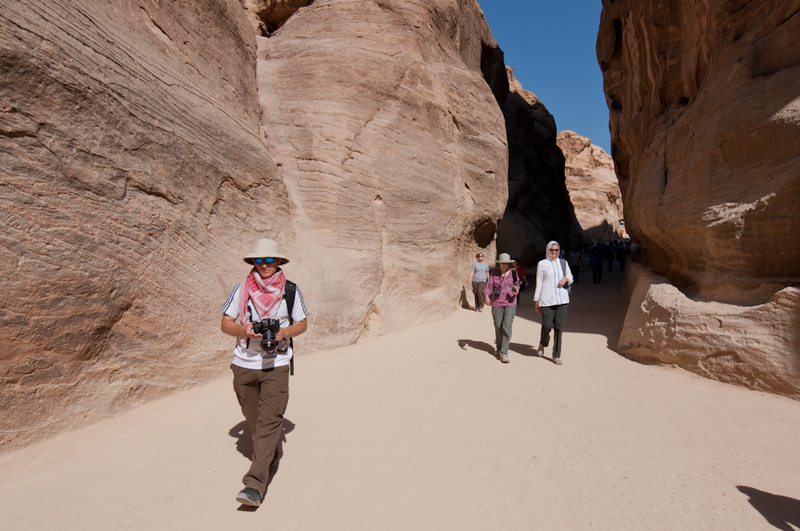 We crossed into Jordan on foot, and met our guide, Riyadh, at passport control. 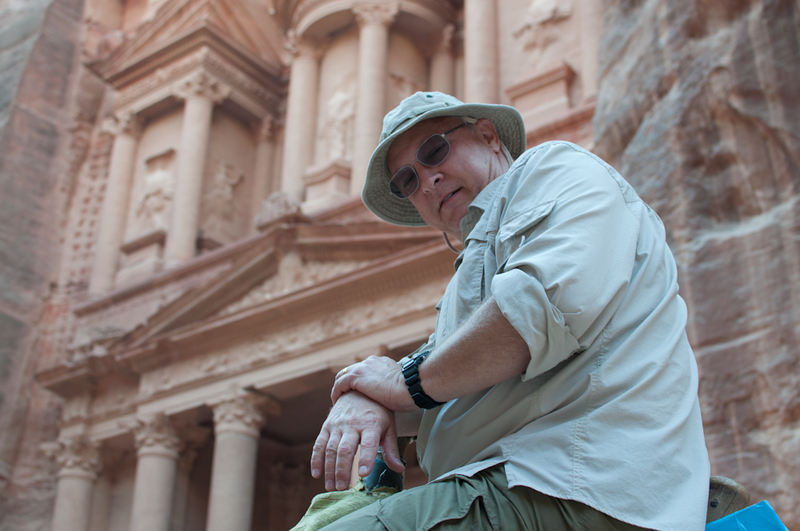 While he was off filling out forms, we were able to shop in a small rest house. 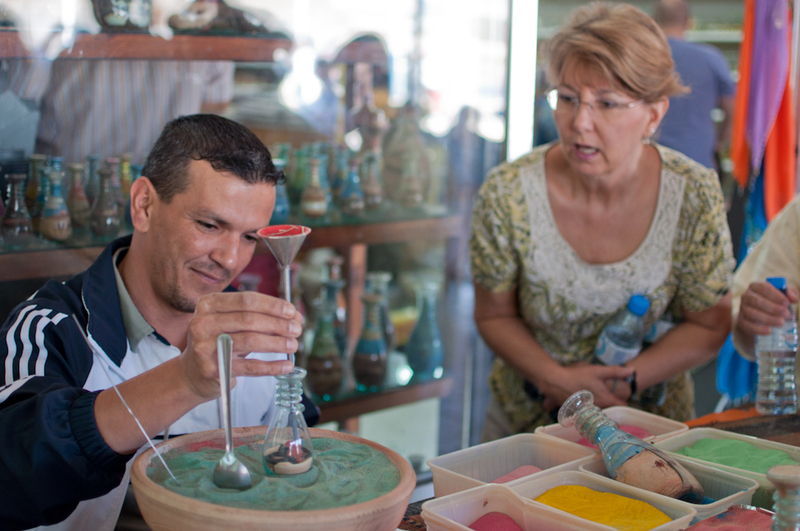 There was a man set up outside the building, making the most beautiful paintings using only sand and a stick in a glass jar. 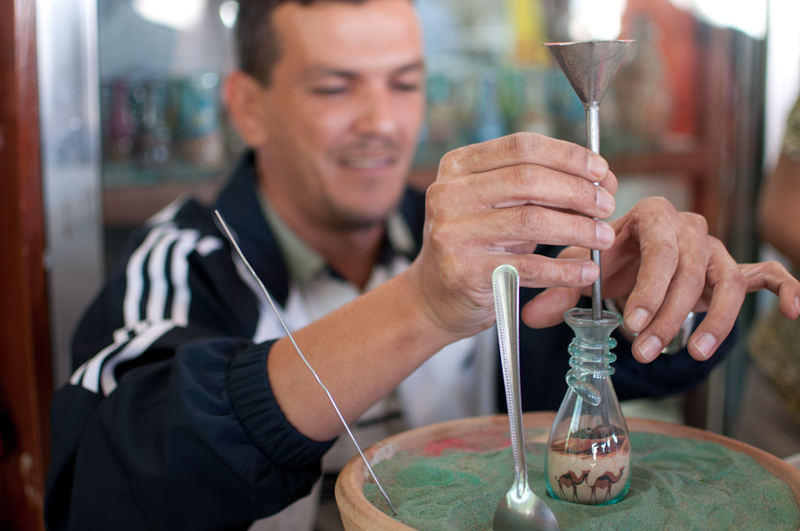 It was fascinating to watch him take nothing but a blob of dark caramel colored sand & make it into a camel! A few of our group picked up some pieces that he has done as souvenirs. 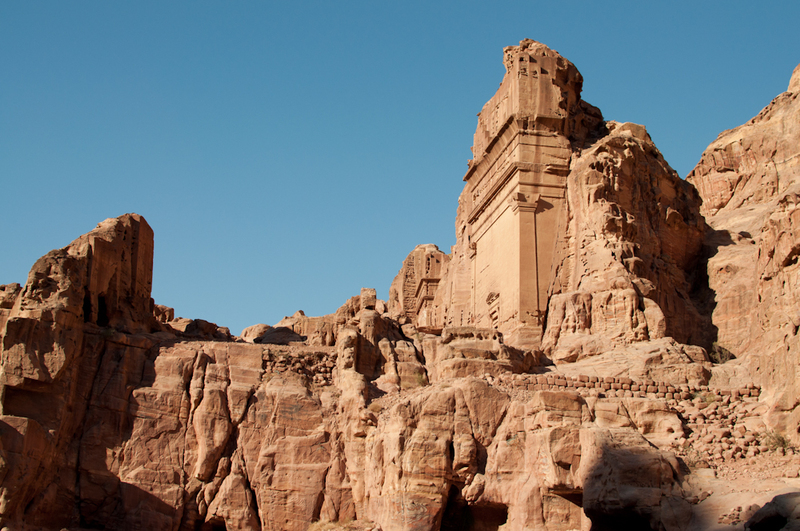 Once Riyadh had finished the paperwork, we boarded a bus for the 2 and a half hour drive into Petra. 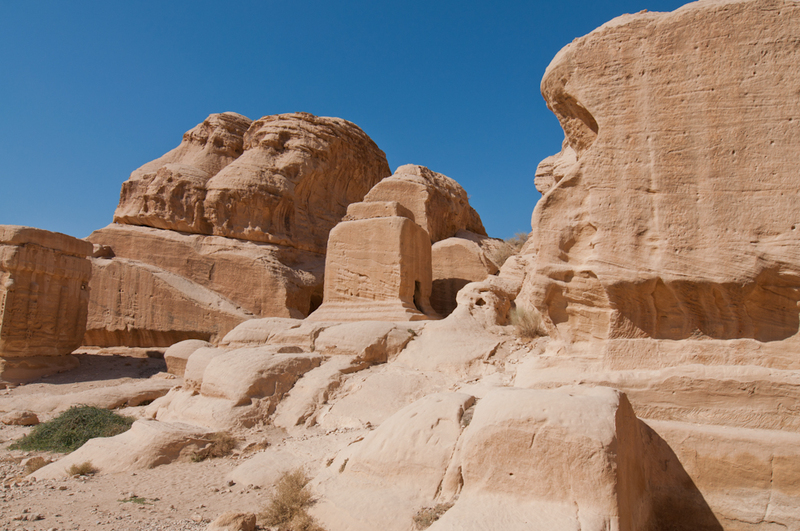 Petra, or the “Red Rock City”, was carved from the sandstone by the Nabateans, who lived in the city from the 3rd century BC to the 2nd century BC. 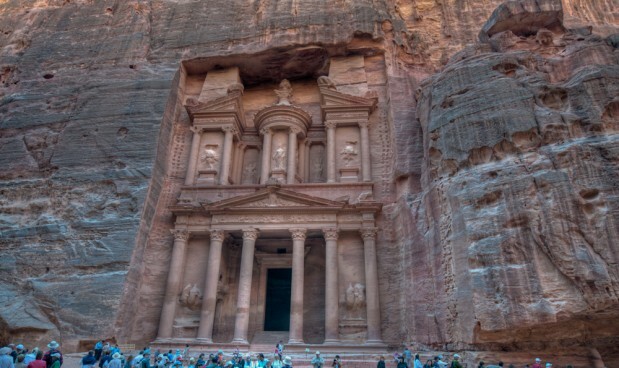 Its amazing facades and tombs, somehow managing to escape the ravages of time, are highly recognizable and were even featured in the third Indiana Jones movie! 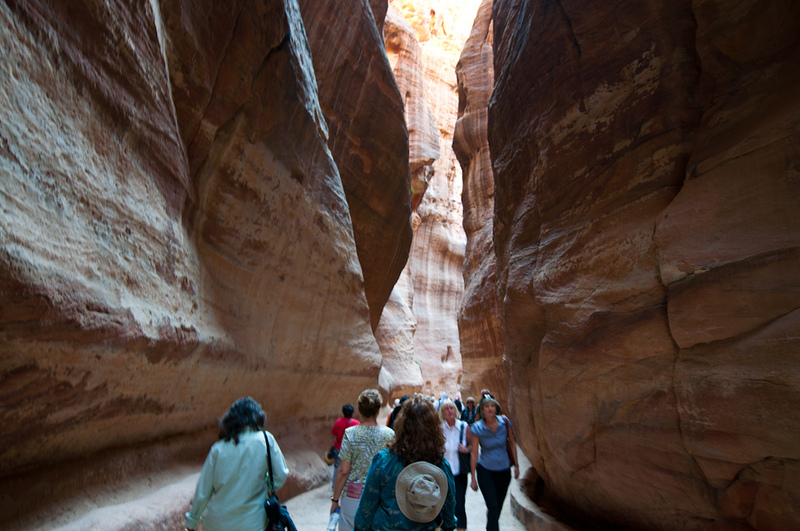 The geography of Petra is simply amazing. 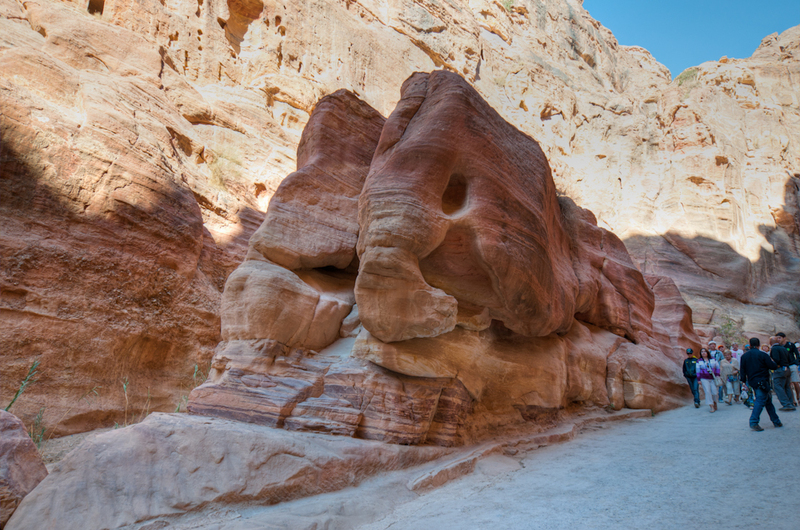 Excluding the carvings themselves & simply focusing on the way the rocks have been shaped by many millennia’s worth of rain and wind blown sand is simply astounding. 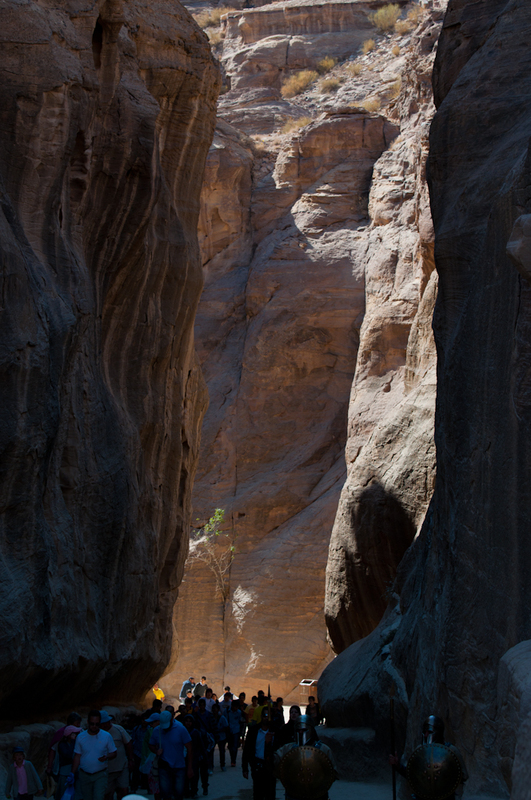 The walls of the siq, or canyon, are worn smooth to the touch. The path winds and turns, and everywhere you look there is something spectacular to see. A fig tree tenaciously growing out of a rock, for example. Or just the sheer, majestic beauty of the cliff walls towering hundreds of feet above your head, catching and holding the sun’s rays as they are framed against a cloudless blue sky. Though it can easily reach 105 degrees in the shade during the summer, it was quite cool in the early fall – especially in the shade! Our 2 and a half mile walk down the trail was beautiful and comfortable. 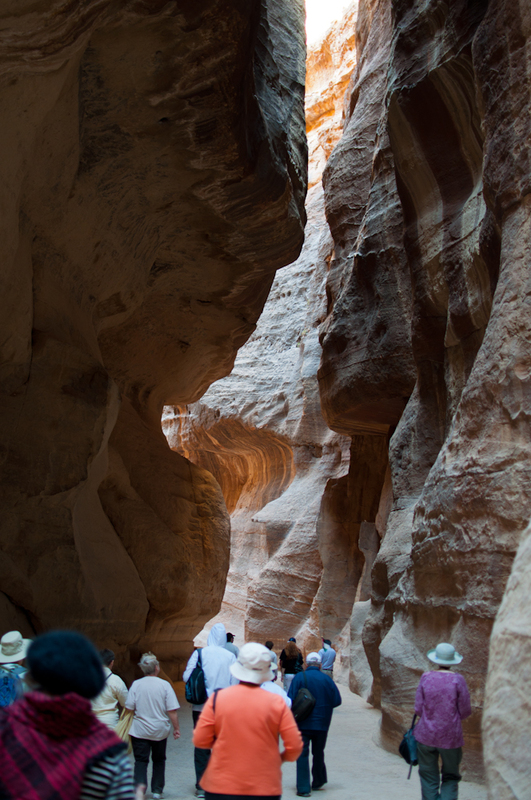 We stopped many times along the way to look at small carvings or an interesting striation in the rock, but as we neared the end of the siq, a whole new world was opened to us. 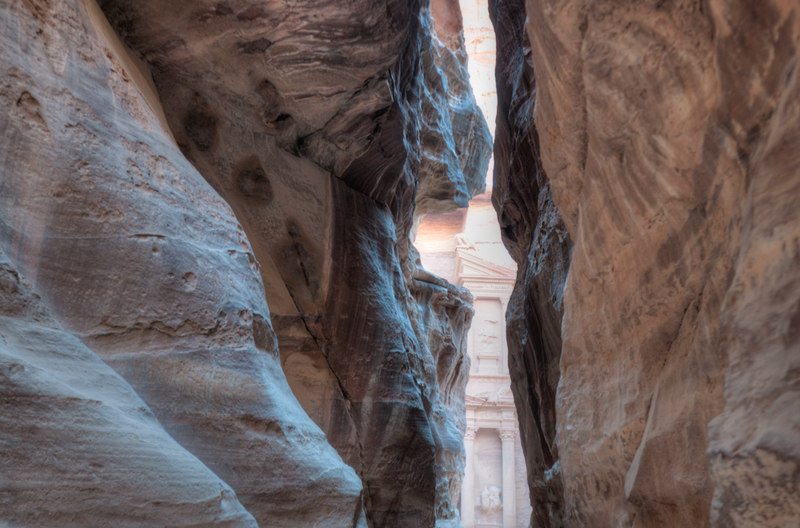 Just around the corner of the winding path, we could just begin to see the Treasury, perhaps the most famous part of Petra. 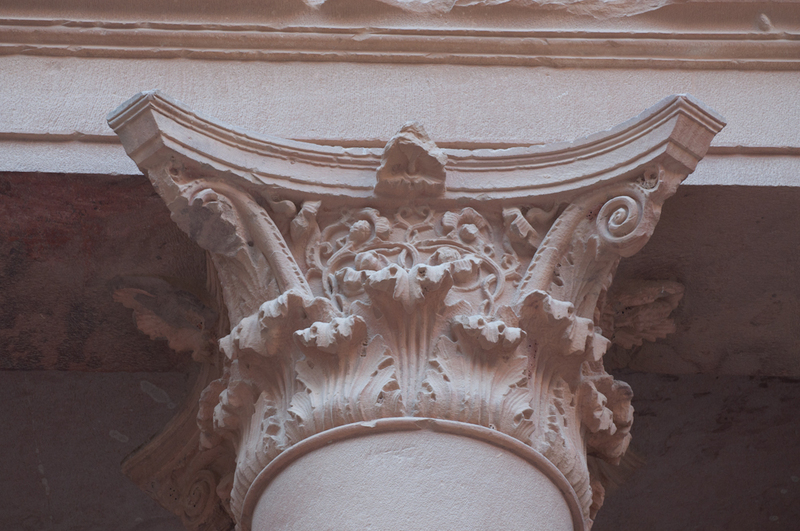 This beautiful building appears as though it were carved yesterday. It is breathtakingly large and extraordinarily intricate, with four huge columns and some statuary on the top of the facade. You can still see the holes where the carvers attached the gear that they used to scale down from the top of the canyon carve these beautiful designs! 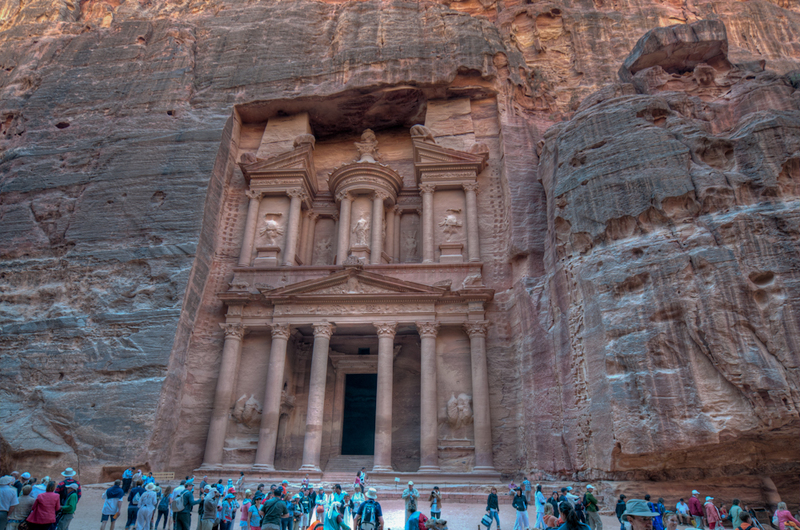 They were carved from the top down because the sandstone that the canyon is made of would crumble if carving was attempted from the bottom first, due to its soft nature. 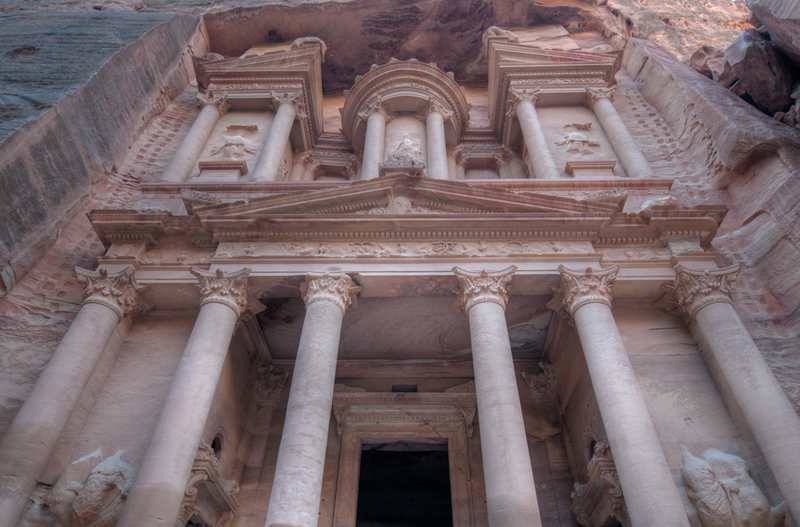 Excavations are currently being done on a third level of the Treasury, which had been covered by a layer of sand for centuries. We could just see another door, with it’s intricately carved lintel, as we peeked into the dig site. 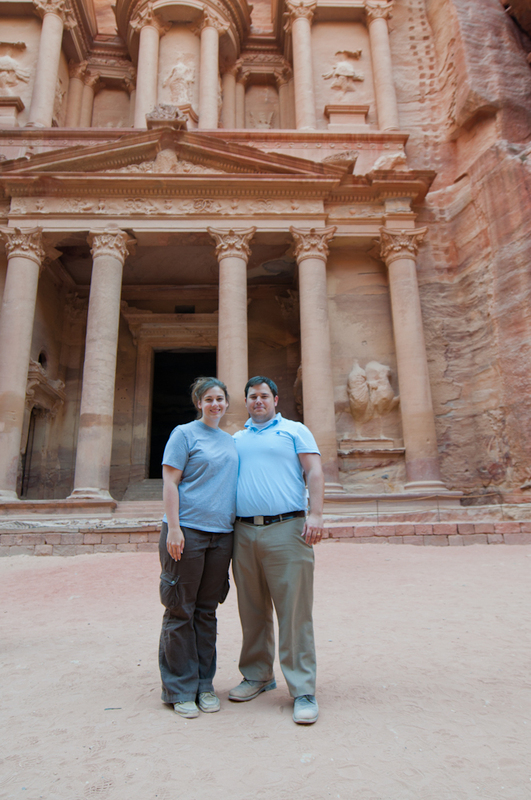 Once we left the Treasury, we headed down to the main part of the tombs. 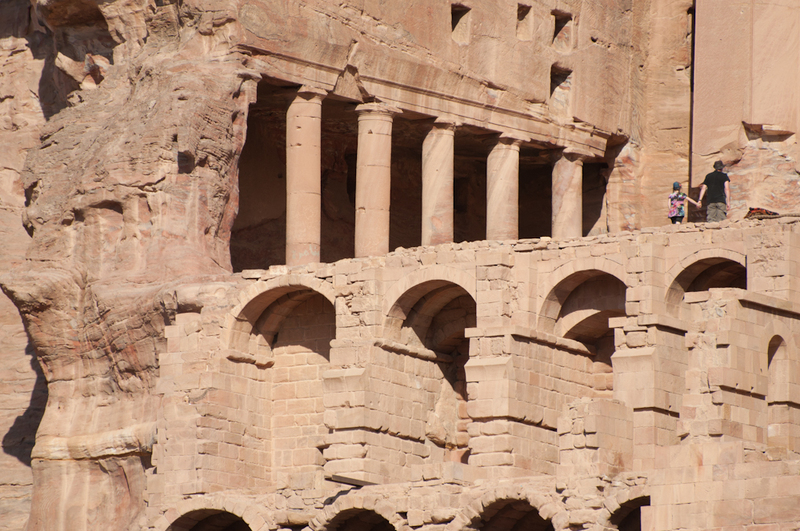 What seemed like hundreds of these man-sized tombs dotted the walls of the canyon around us – burial places for entire families. 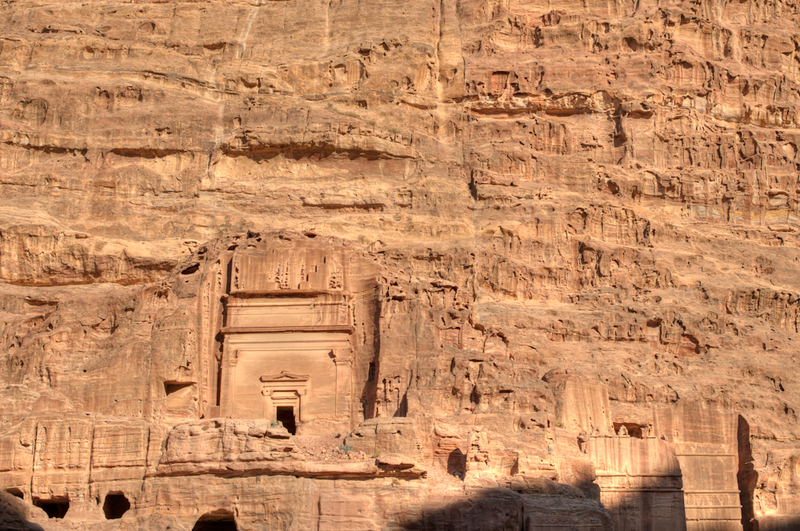 The sheer number of these carved rooms is amazing – and there are more of then can be seen from the ground! 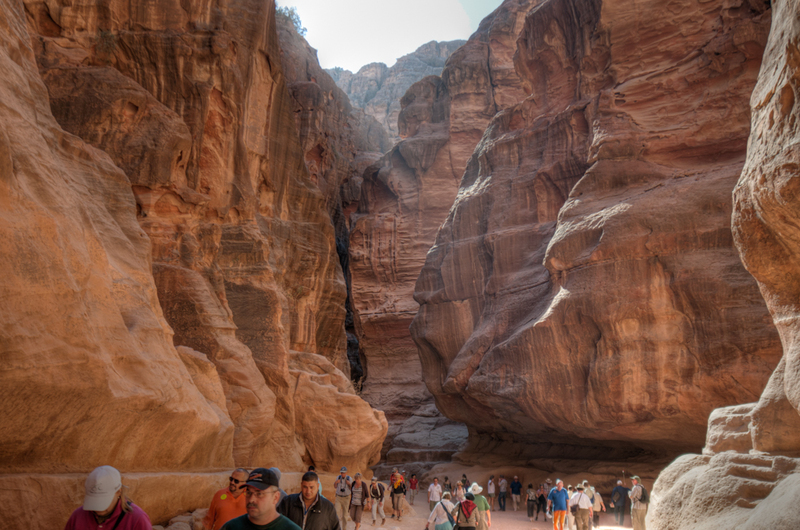 The remains of a carved amphitheater sit tucked away in a corner, their majesty & splendour almost overshadowed by the sheer size of the canyon walls around you. 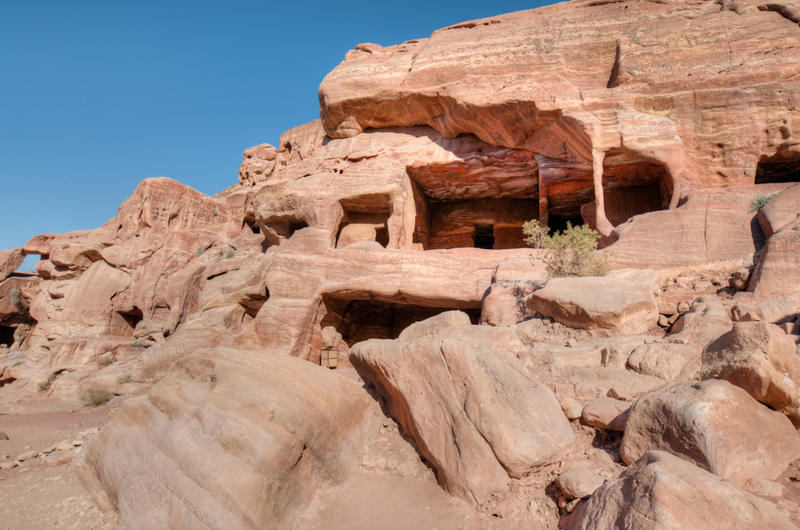 Although the tombs remain, none of the Nabatean’s houses survived the centuries, for they were constructed outside of the relative safety of the canyon walls. 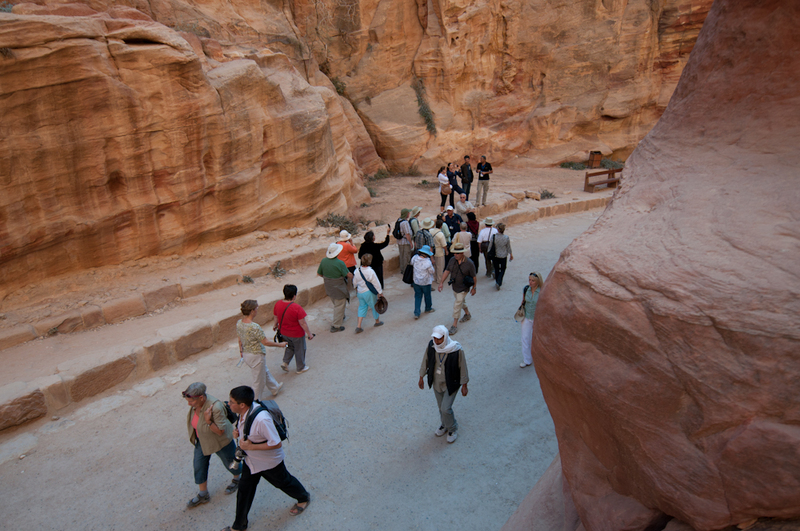 Petra itself is a cacophony of life – haggling, vendors hawking their souvenirs, Bedouins calling out for people to ride their camels or donkeys or horse-drawn buggies. People of all nationalities and races are teeming in the streets, and it is truly a fascinating place to be. 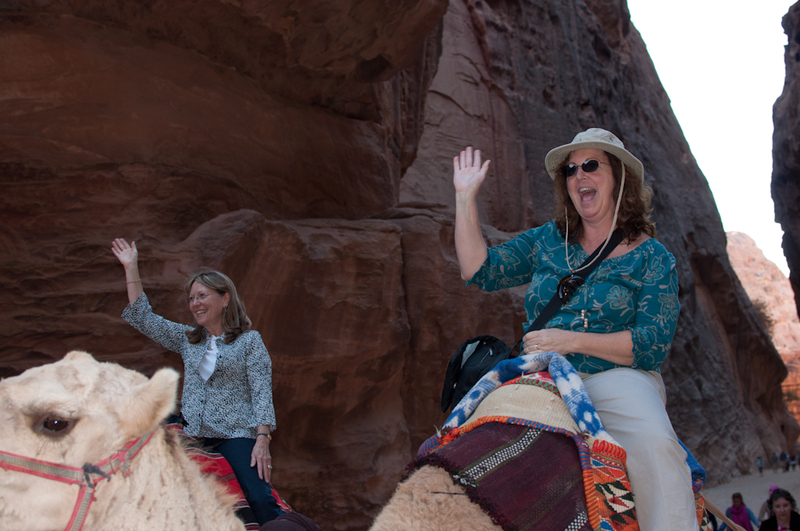 Some of our group took advantage of the Bedouins offering rides part of the way up the siq – Mark, Terrie, Dr. Meloy, Trey & a few others hopped on camels, while Lillian, Betty, Robin, Mary, Kathy & Norma opted for the two-seater buggies, drawn by a horse. The rest of us? 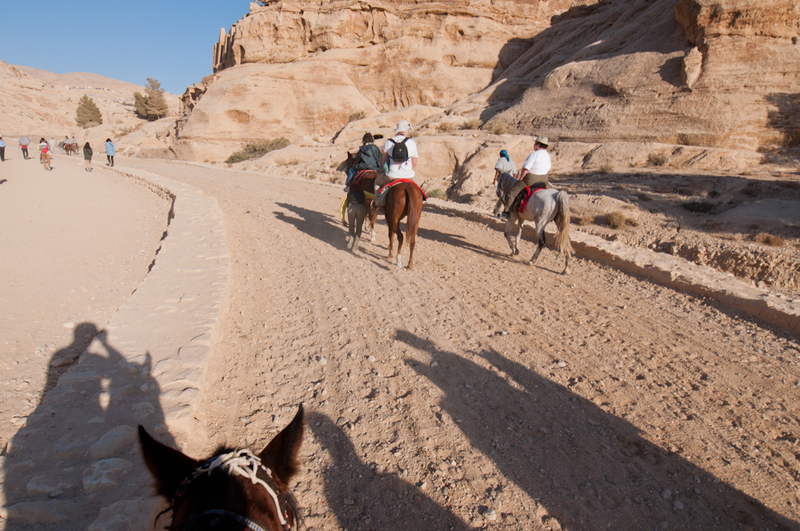 Well, we basically ran up the siq until we reached the mouth – then, we hopped on some horses! Even though we only went for about a half-mile, the break from walking was amazing. 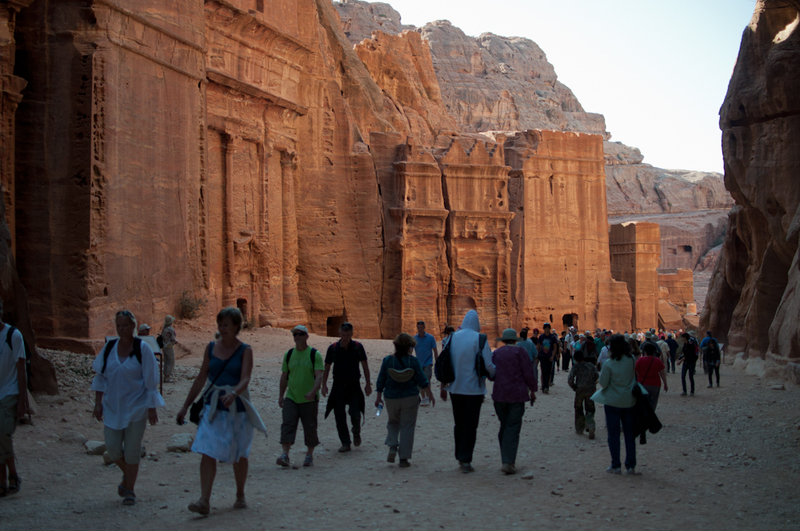 We spent an amazing four hours in Petra, and we barely even scratched the surface of what it has to offer. 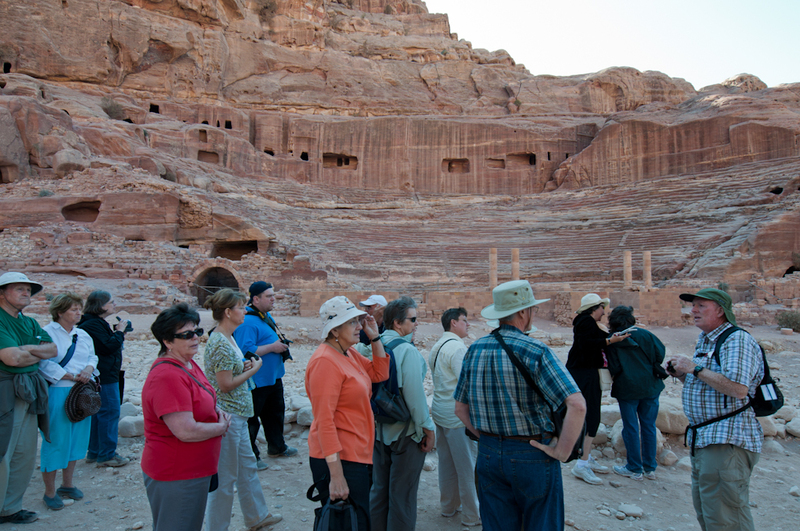 Riyadh told us that, to see Petra in it’s entirety, one would need two weeks. 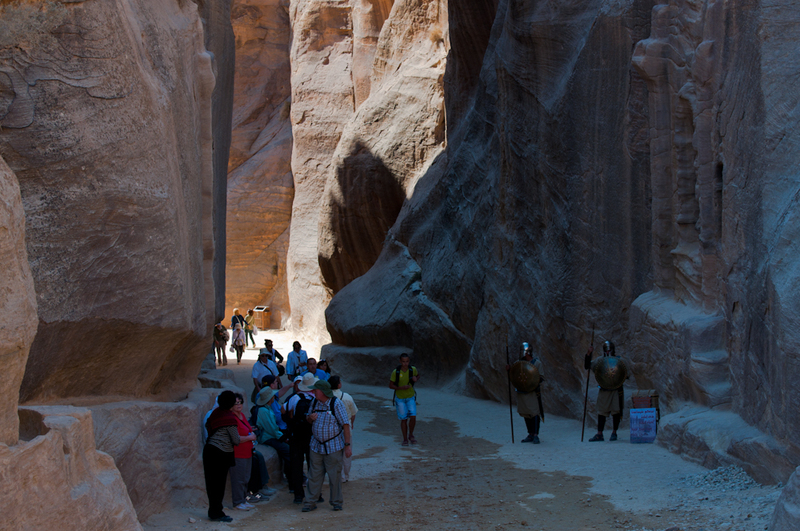 It is easy I see how that would be so – the scale of the place is simply astounding! 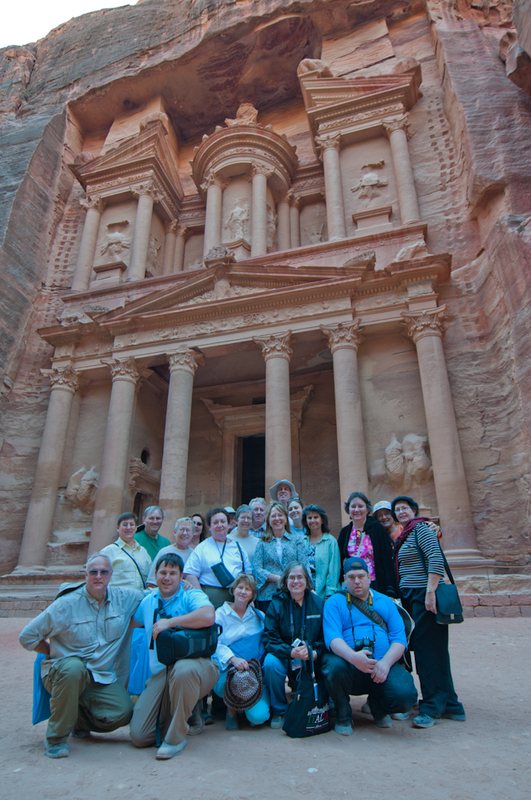 Although we had an amazing time in Petra, and a safe trip in Jordan, we were all happy to be back home in Israel. Tomorrow, we will spend some time swimming (or diving!) 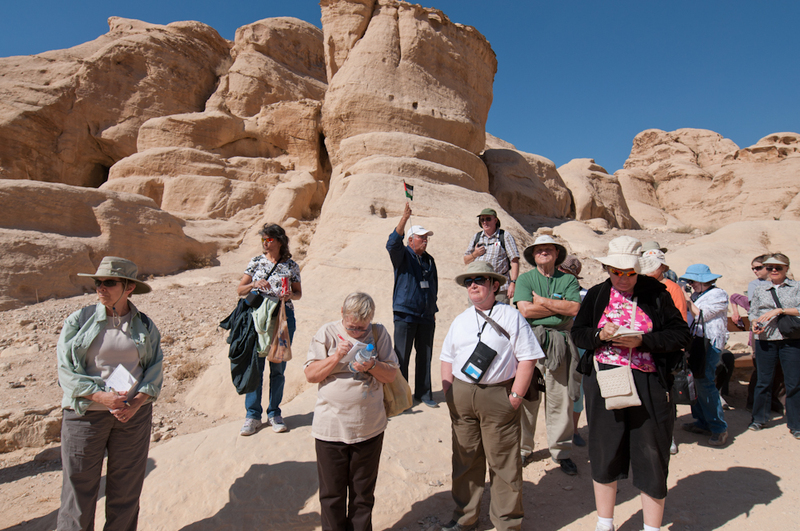 in the Red Sea, visiting Timna park, and finally we will return to the Dead Sea for the night. 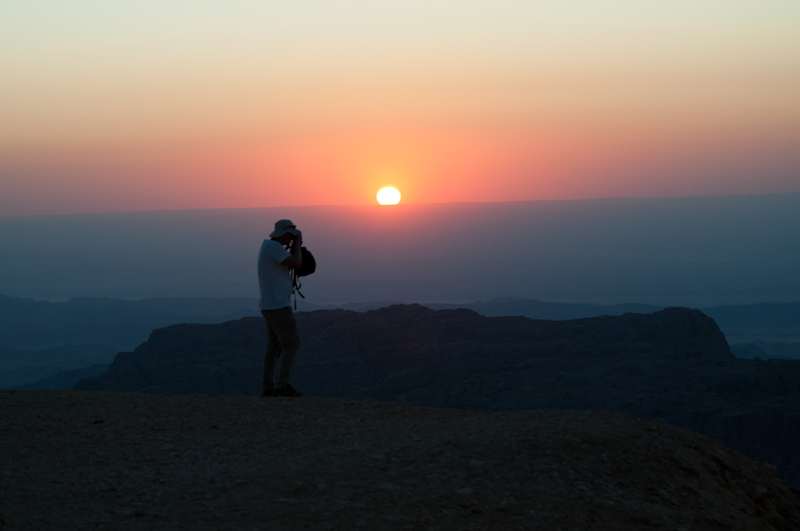 Folks, please forgive our lack of pictures for tonight – we had a corruption of the data card that Ben was using all day long in Petra! 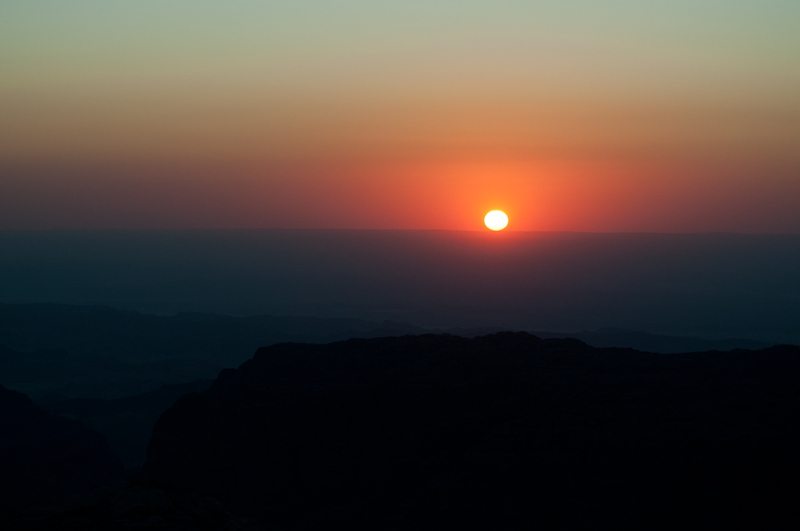 Through God’s providence, we were able to recover them ALL with no losses, but processing these photos takes several hours that we just did not have tonight after rescuing the data. 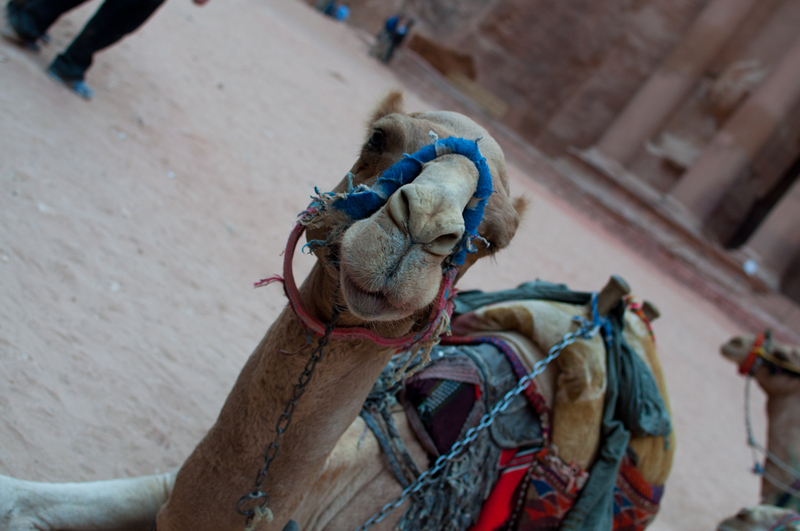 We will make sure to have the photographs of Petra up tomorrow night!! Thank you so much for your patience, and your prayers.